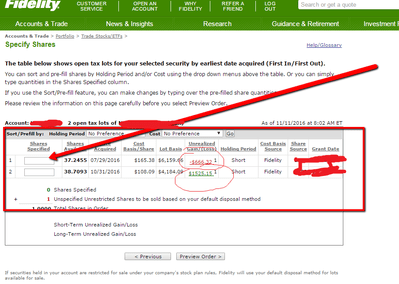 Home / Personal Finance / How to sell specific shares at Fidelity? 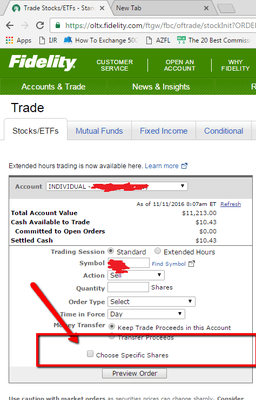 When you sell shares, at Fidelity by default will sell the shares which you hold for longer time ( first in first out stock sales- FIFO method ). If you sell the stock with higher cost, you may expect a lower realized capital gain which is called Tax loss harvesting.